Final subject results are released two weeks after the Study Period finishes. You can find out when your results will be available in the Key Dates section in My Account. You will receive an email notification when your results are ready to view on the student portal. If there is any delay we will advise you by email. If you have an extension or have applied for a reassessment, your results will be available after the extension deadline has passed. 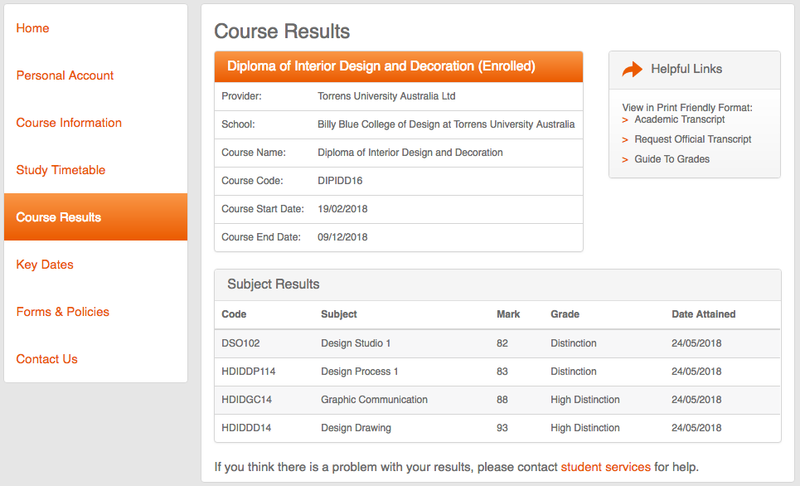 Select ‘Course Results’ from the menu on the left hand side. Note: Final Assessment results are not published in My Account - only your final subject grade will be made available. If you think an assessment has been marked unfairly or inappropriately you can request to have re-assessed. Your work will be graded again by a different assessor.